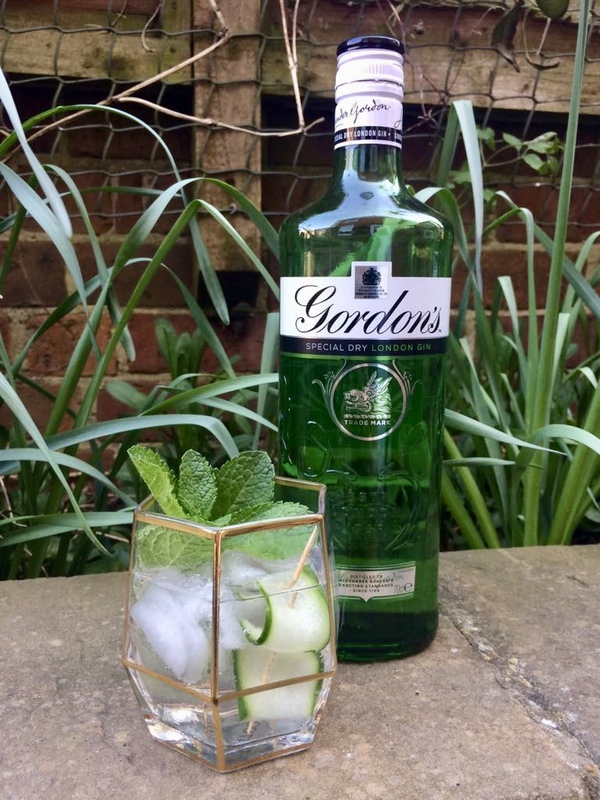 A while ago I posted about some cocktails Rick made with a view to serving them at our wedding - he's been busy trying out some other recipes, so here they are, just in time for World Gin Day (anyone would think this blog was planned or something). The perfect summer cooler. Best enjoyed in the garden or on the balcony! Pour your ingredients into a glass over a good amount of ice - soda water to taste. Peel a sliver of cucumber and use a cocktail stick to hold it in an 's' type shape. If you can't be bothered to be fancy a normal slice will do! Use a good sprig of mint to finish it off, and enjoy! I've done a few taste tests on this and it's really good! 1 teaspoon Rose Water - you don't need more than this! Pour the liquid ingredients over ice. The rose water is quite potent so you won't need much. 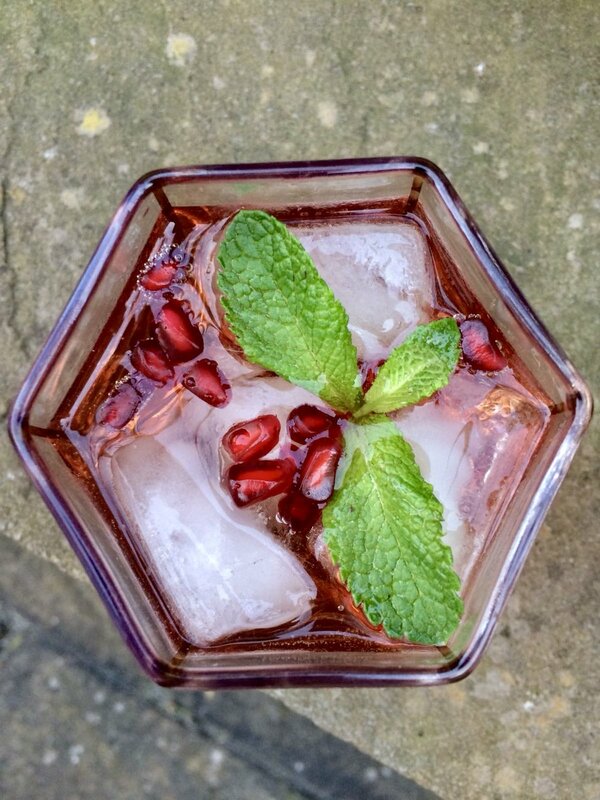 Pop a few pomegranate seeds in and add a sprig of mint to garnish. We've played around with this recipe a lot to get it to how we like it, but feel free to change the measures of juice and soda water to reflect your own tastes. If you prefer sweeter drinks, it also works well with prosecco instead of soda water. We were gifted this gin by Gordon's, but it's a brand we use and enjoy all the time. It's great for cocktails, because unlike some other gins it doesn't have any strong overtones so works well with whatever you want to pair it with. I'd like to tell you to enjoy these drinks responsibly if you make them, but we never do - so enjoy! Want more? Sign up here for my latest posts. Jun 7 Vivienne Westwood Melissa Cherry - My Wedding Shoes!